You will add many Cheats: Unlimited Health , Unlimited AP , Easy Kills , Mega Gil and many more. Welcome to our website, especially on the Trainer page of World of Final Fantasy Without too many premises let's describe this article! In the following page tricks of World of Final Fantasy you will be able to see the tricks and the codes we managed to collect for this game, thanks to them you will be able to overcome any difficulty, even at the cost of cheating a little. 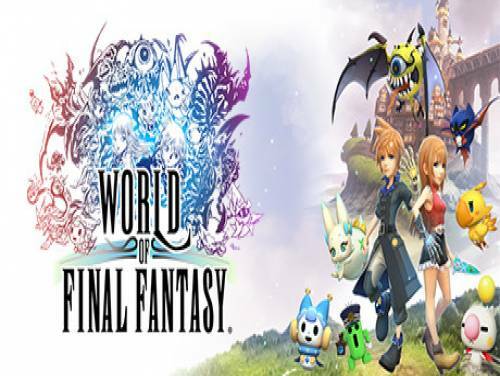 In the following solution page of World of Final Fantasy you will be able to see the collection of videos taken by YouTube that we have chosen to show you the step by step completion of this game.Thanks to them you will be able to overcome the blocks and also to understand how a professional plays to learn. CAPTURE, CUSTOMIZE, AND EVOLVE! The parties to a magical adventure together to the twins Reynn and Lann, explore the vast world of the Grymoire in search of their lost memories and tries to save their future. The program you are about to download was not created by Apocanow. However, we have permission to publish and publicize by the authors of the Trainer World of Final Fantasy Trainer - v1.0.1. The contents of the file are virus free, even if sometimes they can trigger the AV as false positive. Numpad 1: Unlimited Health - toggle on and your health remains full. one-shot killed by the enemies, so keep that in mind. capture the enemy, then it's best not to use this option. this to give you plenty. have plenty to level up your Mirages. you will see the Play Timer has frozen. each battle item that you had in your inventory. Seraphone, it won't decrease when used. Potion, it won't decrease when used.